Campbell, Nathaniel M. “The Authorship and Function of the Chapter Summaries to Hildegard of Bingen’s Liber diuinorum operum.” The Journal of Medieval Latin 27 (2017), pp. 69-106. Also accessible online through academia.edu here. As with the first two works in her visionary trilogy, St. Hildegard of Bingen’s masterpiece, the Liber diuinorum operum (written 1165–1173/74), includes as a “Table of Contents” summaries for each of its 316 chapters, originally composed separately from the main text but later distributed throughout, either before each of its three parts or, in one recension, before each chapter. It has been generally, if silently, assumed that Hildegard herself composed these summaries. However, a detailed study of the Capitula reveals significant divergences from the Visionary Doctor in terms of vocabulary and expression, interpretation, and style. Further technical aspects of the compositional process indicate that she was likely not their author. The second half of this study considers who among the circle of men who helped her in her final years might have been responsible for writing these summaries. After examining the roles of the three provosts or her abbey – Volmar of Disibodenberg, Godfrey of Disibodenberg, and Guibert of Gembloux – I turn to the adiutores whom Hildegard specifically mentioned in the “Epilogue” to the Liber diuinorum operum: Ludwig, abbot of St. Eucharius and Matthias in Trier; Godfrey of Kahler, a monk of St. Eucharius among the sapientes whom Ludwig sent to Hildegard’s aid; and Wezelin, her nephew and provost of St. Andreas in Cologne. The final two men – Godfrey of St. Eucharius and Wezelin – prove to be the only two probable candidates. 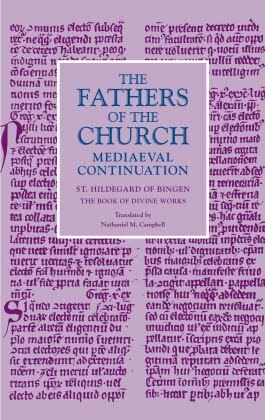 In composing these Capitula, their author helped Hildegard to make her challenging visionary text more accessible by schematizing the work and orienting the reader.